Edited by Robert Hass, an easy anthology with which to begin. Sections on individual poets start with brief introductions. 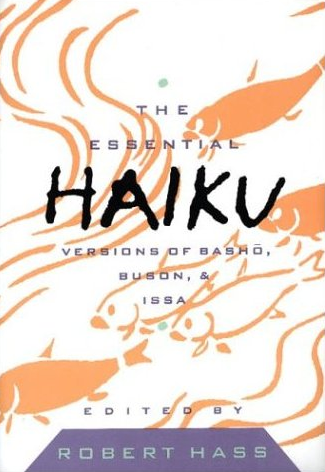 Selections of haiku, translated by Hass, follow. 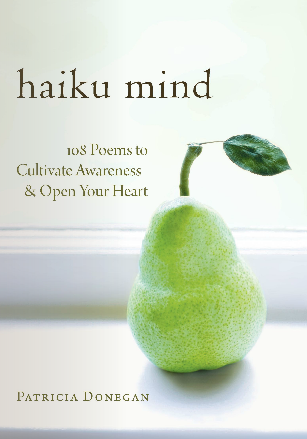 Included are samplings of prose works by the haiku masters (translated by a variety of others). Appendices include notes on form and translation. One year at the Dodge Poetry Festival, the poet Marie Howe looked to the audience and told them Robert Hass, sitting next to her, had all of Western Literature in his head. In this translation of the three famous haiku masters, Hass demonstrates Eastern Literature is there as well. A personal favorite. Patricia Donegan, known in the haiku world for her Chiyo-ni: Woman Haiku Master, has collected 108 poems by various haiku writers from across time. Each poem acts as an example to a corresponding precept, an interpretation of poem and example is included as well a short bio of the poem’s poet. The book is designed to ‘cultivate awareness and open your heart’ and works well as a way of demonstrating how the largeness of human experience can fit in the small pebble of a poem.